If you love garlic, Trader Joe’s Garlic Spread and Dip is a must-try. It’s great on its own or used as a shortcut ingredient for pasta, tzatziki and more. 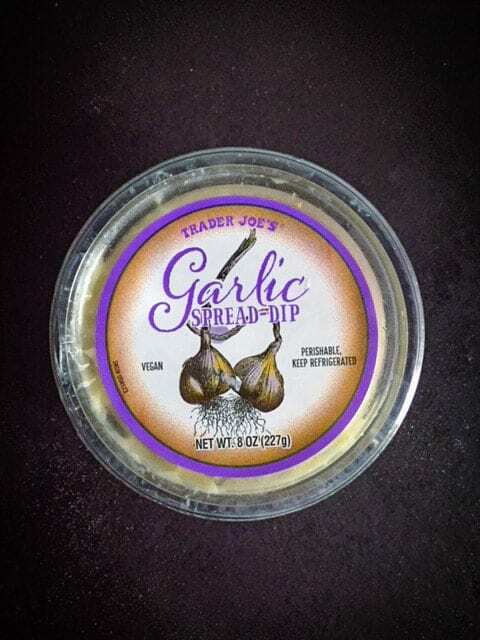 Have you seen Trader Joe’s “Garlic Spread and Dip?” A friend recommended it, saying that she was putting it on everything. You know what that meant! I tossed a tub into my cart the next time I went to TJ’s. Wowza. This stuff is good. Really good. It’s basically Toum, a Lebanese garlic spread. And when I say garlic spread, I mean GARLIC . Toum is an emulsion similar to mayonnaise but without any eggs. The consistency is light and fluffy. For years, before I knew how toum was made, I assumed it contained mashed potatoes or yogurt. (Fun fact: the spread is Vegan!) While recipes for toum vary, it’s usually made from raw garlic, oil, lemon juice, and water. Nary a hint of potato or yogurt in the mix. You can make toum at home. To get the proper consistency, you need to make a fairly large batch. So I welcomed Trader Joe’s premade version. The small tub is the perfect size for one or two people. Trader Joe’s take on Toum tastes homemade. It’s so good— creamy and garlicky; it’s perfect on anything that needs a little kick. And when I say anything, I mean anything. I put it on bread or add a dollop to chicken curry bowls. Sometimes, when I want easy garlic mashed potatoes, I’ll whisk a little into the milk when I’m making my Instant Pot Mashed Potatoes. The key is to keep the sauce raw. The flavor changes when you cook it and, in my experience, it doesn’t get better. 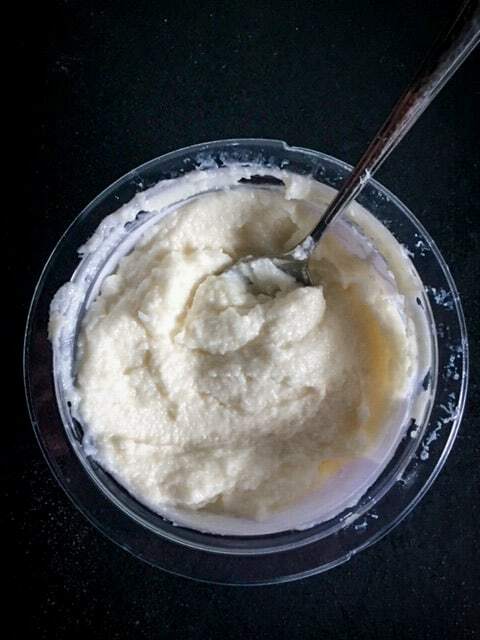 The lovely pungent flavor of toum is perfect raw or warmed slightly, as it is in mashed potatoes. This means it’s great smeared on cooked chicken but not as good if you brush it onto raw chicken and bake. Got it? Grate your favorite cheese. Spread a thin layer of Garlic spread on two pieces of rustic bread. 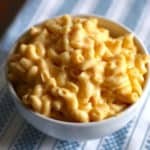 Add the cheese. Butter the outside of each slice of bread. Grill until cheese melts and bread is golden brown. Cook one pound of pasta. While it cooks, slice an onion. Cook the in a generous amount of olive oil in a medium skillet until tender. 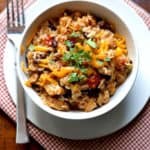 Add one (15 ounce) can petite diced tomatoes. 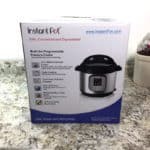 Bring to a simmer and reduce heat. Reserve one cup of the pasta cooking liquid. Drain pasta. Return to pot. 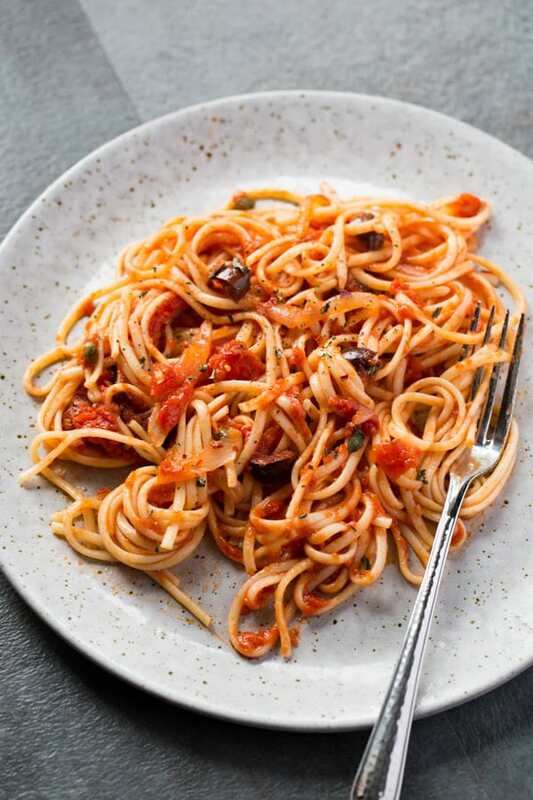 Toss pasta with two tablespoons Garlic spread. Add tomato sauce. Toss to combine. Add capers and sliced olives if you feel like it. Season with salt and pepper to taste. If sauce is too thick (pasta seems dry) add a splash of pasta cooking water. Mix equal parts Trader Joe’s Garlic Spread with softened unsalted butter. Since the spread contains salt, if you mix it with salted butter it can be too salty. Add a spoonful to cooked vegetables. Toss garlic-butter with cooked pasta. Add Parmesan and lots of black pepper. Toss to combine. Add a generous splash of pasta cooking water to thin. Add one tablespoon Garlic Spread to 2 cups Greek yogurt. Stir in one small, seeded and chopped cucumber. Squeeze half a lemon. Stir in juice. Season with salt and pepper to taste. Add more Garlic spread to taste. Serve with raw vegetables, chips, or crackers. Put a dollop on a baked potato. Thin with a little milk and drizzle on roasted vegetables. Stir two tablespoons Garlic Spread into 8 ounces softened cream cheese. Add 1/4 cup finely chopped basil, 2 tablespoons chopped chives, and 1 tablespoon chopped parsley. Stir to combine. Taste. Add more garlic spread if needed. Season with black pepper. Stuff into your favorite jalapeno popper recipe.